I want to study abroad but I can't do it on my own, I need help from an education consultant, is that you? Or can you recommend me some good consultant for studying abroad? We are not a traditional education agency. We never charge for our services and you always pay directly to the schools, often at discounted prices. We help students with free information about studying abroad regardless of where they want to study through our articles and information on this website. Fill in our information request form then we and/or our partners will help you to find and apply to a suitable school abroad. 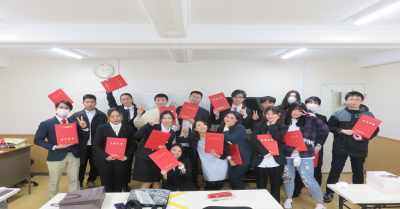 Japanese language schools: we are experts on studying in Japan. Choose between many schools in Tokyo and Kyoto. Language schools all over the world: study from two weeks to one year. We help you with recommended schools. Educational consultants can be a great help if you want to get accepted to competitive universities. On the other hand they are not always needed, it is quite possible to apply on your own with the help of the information you find on this site like our checklist for studying abroad. Do they work with the school where you want to study? Then getting help from the consultant can be a good option. However, don't limit yourself to the options offered by a specific consultant. If they don't work with the school you are interested you can apply there on your own or find another consultant to help you. Do they try to stress you inte making a decision? Make sure that the educational consultant has your best interest in mind. If they keep calling and mailing you with a special offer if you book NOW they are most likely only focused on selling. There are deadlines to keep in mind when applying to schools abroad but take your time to pick a consultant that feels right for you. Do they try to push you to change your plans? Good consultants and agencies can suggest you other options that might be as good or better than the schools and courses that you first considered. This is a good thing if it is done with your best interest in mind. But a bad consultant might just try to push you towards a school that serves their best interest (they earn more money) and not yours. So listen to suggestions and look at different options but pick the program that feels right for you. Do they charge a lot or is the cost unclear? Educational consultants often receive a commission from the schools they work with. Therefore they should be able to help you for free or for a small fee. If you want to apply to a high ranking university like the Ivy League you must be prepared to pay more since these schools don't pay commissions and the applications are highly competitive which means that you will need more help. But never pay a consultant big money to help you with simple applications to language schools or other less competitive colleges. Do you need more help? We and our partners can help you if you fill in our information request!